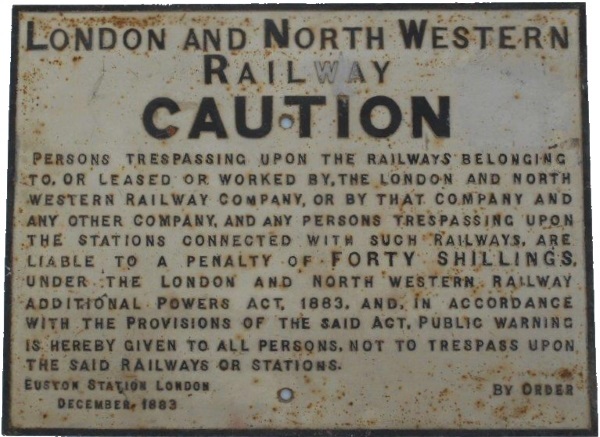 Lot 141 C/I Notice - LNWR - "CAUTION" 12 Lines of text. Euston 1883. Ex trackside condition.